The festive season is here and we can’t wait to flaunt our beautiful hair. But due to heavy pollution, people are suffering from dry and frizzy hair. However, here is a tip- hair is just like a plant, the more you water it, the more it will grow stronger. Oiling your hair every single day or two can be a great option to keep your scalp hydrated and moisturized. But hair masks work wonders on days where you need to really flaunt your beautiful hair with style. Applying hair masks on your hair will give your hair a natural volume boost and will make it shiny and healthier. 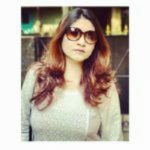 Here we are going to talk about the Top 10 Best Hair Masks Available In India 2018. A hair mask that gives the salon-like treatment to your hair at home is none other than the Mamaearth Argan Hair Mask. If you are suffering from dry and damaged hair and want to get a soft, silky and shiny hair, then this mask is a savior for you. This mask helps to strengthen your hair from root to tips and reduces hair fall and imparts shine. It contains several organic and natural ingredients that help to cure dry seal and prevents clogging. This product controls natural oils and promotes hair texture and makes your hair grow. It treats your dandruff and makes your hair healthier! One product that has created a great impact on the Indian market for hair care is none other than the L’Oreal Professionnel Mythic Oil Masque. This masque does what it claims to. It makes your hair super shiny and easy to manage. For normal and slightly damaged hair this hair mask works like a boon. The effect lasts for a few days. Adds a beautiful sheen to hair. However, to keep in mind is that the product may not work well for a very much damaged hair. Are you suffering from immensely damaged hair and want to make your damage free and a lot healthier? Well! If yes, then the best thing you can purchase for your hair is the Well Professionals Enrich Moisturizing Treatment For Dry And Damaged Hair. The mask is formulated with triple-blend technology to boost your hair growth. This mask helps to add in moisture to your hair and conditions them very well by keeping your hair hydrated. You can view results within a week or two. If you include this in your daily hair care routine along with the shampoo from this range, then you see your hair texture improving a lot visible. Moreover, the results last longer than usual. But keep in mind is that this range contains too many chemicals which may or may not be harmful to your hair. If you are suffering from dry hair and split ends, then without further thinking give the Matrix Biolage Deep Smoothing Masque a must try. 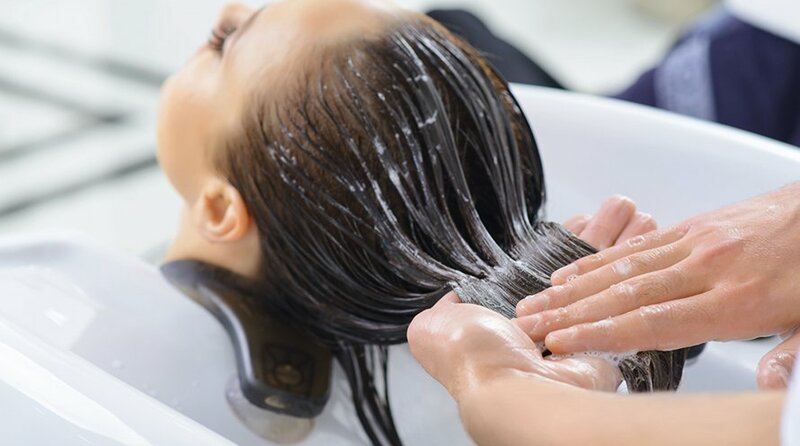 Styling your hair and exposing it to unlimited heat and pollution damages your hair. This masque is a savior for all those people who want to make the hair naturally healthy and super smooth. In fact, no serum application is required after applying the hair mask as it makes your hair manageable without weighing it down. And the great fact is that this hair mask is very affordable and is available everywhere in the Indian market. While we are talking about hair mask that gives you a salon like hair treatment at an affordable price, then the L’Oreal Paris Total Repair 5 Masque is a total winner! The ceramide-cement formula makes it unique to repair your hair and protect it from the five signs of damage namely dryness, dullness, hairball, roughness and split ends. You can see visible results with the first application only. Apply it all over your hair length and leave it for 30-45 minutes and more if possible and rinse it with warm water. Including it in your daily routine will make your hair quality great and silky. Are you looking for having soft and luscious hair? Well! If yes, then one of the reasonable and effective hair masks that work wonder is the St. Botanica Moroccan Argan Hair Mask. If you are suffering from dull, dry and frizzy hair, then this organ oil mask can do wonders to your hair. This mask helps to reduce those unwanted split ends and gives you a complete salon-like experience. The St. Botanica Moroccan Argan Hair Mask comes along with a mixture of good essential oils, Vitamin E, Vitamin B5 and other good ingredients that are great for your hair. It strengthens and smoothens your hair follicles. However, keep in mind that this product can roughen your hair at the initial stage but later on it will make your hair soft and smooth. This mask is great for people suffering from dry and dull hair. It conditions your hair pretty well and has a long lasting effect which is visible. It is also suitable for sensitive scalp and hence worth trying. Oriflame Milk And Honey Gold Hair Mask are specially made for severely damaged and dry hair. With its natural extracts of wheat, milk, and honey, this hair mask will nourish your hair from root to tip and impart a honey glazing gold glow. Wheat protein is known to be a conditioning agent that deeply penetrates into the cortex and repairs damaged follicles. The added goodness of gold pigments helps impart shine and luster to your hair. Once the mask is off, there is a radiant glow that stays for a long time. Within a few applications, this mask will work wonders and make your hair go from stressed, dry, and frizzy to healthy, soft, and silky. If you are scared of using harsh chemicals on your hair, then the best natural hair mask that you can use is the Indus Valley Hair Ultima Spa. Any kind of hair problems and it will vanish it within a few weeks of daily usage. This mask helps to make your hair nourish deeply and strengthen the follicles. It keeps all the claims it does and hence turns out to one of the best natural hair masks. It stimulates blood circulation and hence detoxifies hair cells. All the acetyl alcohol present within it helps to moisturize the hair. This mask also helps to remove split ends problem by 90% and comes in an affordable price range. Are you suffering from split ends and want to get rid of them as soon as possible? Well! Then you must try out the Schwarzkopf Gliss Hair Repair Mask which can be a savior for you. This anti-split ends mask is made for the sole reason of treating split ends and any other damage to your hair. Along with deeply nourishing your hair, this mask also protects it from further damage. However, it smoothens your hair and adds in moisture to it. Furthermore, this masks helps to keep your hair hydrated and controls your split ends problem for about 95%. And adding onto all these goodness, the fragrance is a major factor as it smells great. However, this product is not suitable for oily hair type and also availability can be an issue which makes it to our last but not the least productive. Hair is a very important part of our body and keeping it healthy is our responsibility. However, masking your hair will do the trick for you during the days when you want to skip oiling and still give your hair a salon-like treatment. Let us know which hair mask did you choose and also don’t forget to share with us regarding your experience. If you have any queries, do let us know in the comment section below and we will be happy to help you out. Happy Masking! Things you must know about Stroke, its sign, symptom and how to avoid it.